1. 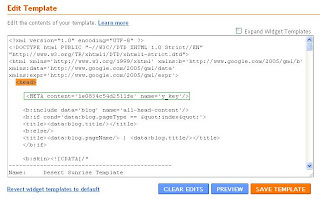 Sign in to Blogger with Google account-1, containing the blog which you'd like to move. 2. Now Open Dashboard, go to the Settings --->> Permissions tab. 3. Click the Add Authors button and send an invitation to the Google account-2. 4. Now log in to Gmail of Google account-2; click on the confirmation link that you have received and accept invitation (use a different browser). 5. Go back to the Dashboard of Google account-1 and open Settings --->> Permissions tab. 6. Click the grant admin privileges link to give Administrator privilege to the Google account-2. 7. Again go to the Blogger Dashboard ---> Settings --->> Permissions of Google account-2 and remove the Google account-1 from Blogger. 8. Your blog is moved to your destination account.